May is National Foster Care Month. In honor of the amazing people who selflessly give of their time and resources to love and care for children in need, I’m writing a two-part series to raise awareness about foster care for those of us who aren’t involved in it. For Part One of the series, I spoke to several foster families about the common misconceptions they hear. 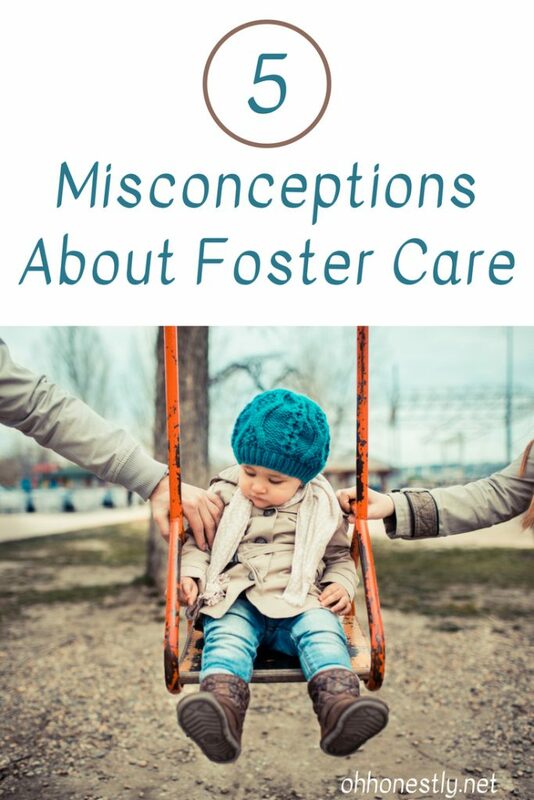 Some relate to foster care in general and others are from people who have considered fostering, but have worried about certain aspects of it. Please note: The people I spoke with for this post all provide foster care in Maine. Please check your state’s foster care website for more information. A state list can be found here. 1. Foster parents do it for the money. We always hear the stories about a rotten apple or two who ruin it for the bunch, but unless foster parents are being grossly negligent, this one is just plain laughable. Yes, foster families get paid, but they are paid in order to cover the costs of caring for the child. In Maine, a foster family makes $16.50 a day. That money covers food, clothing, and supplies, including diapers, wipes, toys, and all the other things that go along with having a child in your home. Most foster children do not show up at someone’s house with a moving truck. Often times the clothes on their back are the only possessions they have. Anyone who has a child of their own knows how expensive it is. More often than not, a foster family will spend much more than the state pays in order to provide for the child in their care. 2. It costs a lot of money to adopt a foster child. If you’re hoping to adopt, but you don’t have the financial ability to do it privately, foster care is an excellent avenue to pursue. Of course, you must prepare for the very real possibility that a child you foster will not stay with you, but if it comes to that point, foster families are usually the first ones asked if they’d like to adopt. Once you make that choice, it costs very little. For one family I know, the adoption only cost a few hundred dollars and the state even reimbursed them for some of their attorney’s fees. 3. The process is strenuous and invasive. As one foster parent put it, “DHHS isn’t trying to find fault with you, your house, or your parenting. They need you more than you need them, and they don’t want to drive foster parents away.” The training and home study are a free and fairly easy process, and in normal situations, a social worker won’t be at your door every five seconds to check up on you. 4. Foster parents have no say in who they foster. If you’ve considered doing foster care, but have worried that every time the phone rings you’ll have to say ‘yes’, rest assured that isn’t the case. If the timing isn’t right, you can always decline without hurting your chances of getting a placement later. You can also tell DHHS your preferences in terms of the age of the children you foster. This isn’t being picky; often your work situation as well as the make-up of your family (ages and genders of biological or adopted children) need to be considered when bringing another child into your home. I’m guilty of having said those words and I bet many of you are too. Certainly there are families who are unable or unwilling to make that commitment for any number of reasons, and it’s not a decision to make lightly. However, after watching my friends do foster care, I have come to realize that it is not as scary or un-doable as I imagined it to be. Of course there is risk involved. You will likely grow to love a foster child as your own and it may break your heart when a child in your care has to leave. Here’s the thing though: Foster families don’t do it for themselves. They do it for the children who need them. Foster care requires a selfless love that could very well break your heart, but when you think of what you’re providing for that child, it is more than worth it. I encourage you to read this wonderful article by Jason Johnson on choosing to love a child who might leave. If you’ve ever considered doing foster care, I strongly encourage you to take the next step in the process. There is a huge need for foster families and you might be exactly who a child needs. Contact your state’s Department of Health and Human Services for more information. A list of each state’s contact information can be found here. If you are not willing or able to do foster care, there are still plenty of ways to help and get involved. 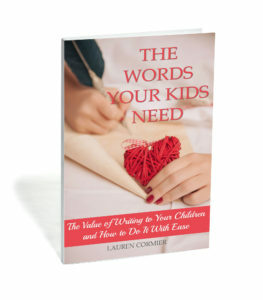 Read my article Five Ways Non-Foster Families Can Help Foster Families for ideas. Have you believed any of these misconceptions? Do you know of others that need to be dispelled? Join the conversation on my Facebook page. Wow it takes a lot of commitment to bring a child into your home. I applaud foster parents! This was a very informative and interesting read. Thanks for sharing. It always has been in the back of my mind as something to do later on when my kids aren’t so little. I’ll be sure to share this. Thank you so much for sharing this. I think everyone needs to see all of the perspectives! Foster Parenting is extremely hard, emotional and rewarding work. love this article!!! We looked into foster care last year and the. Found out we were pregnant so that put it on hold. It’s still something I dream of doing. Thank you for your insight! It’s funny how often you hear of that happening! Since we were interested in fostering babies, and in our state it’s not legal to foster an infant under 12 months when you have another child age 12 months already in the home, we had to discontinue the process. But it’s something I think a lot about doing when the time is right. That said, hats off to foster parents. If you want to make a real difference in the world, giving a child a safe place to be for however long it takes is the best possible way I can think of to do it. Wow! It’s too bad that there are social workers like that because they probably sour a lot of people to foster care. I understand the need to make sure that everything is safe and going well, but there comes a point when it’s too much.